Kagamino Park is selected as one of the 100 best cherry blossom places in Japan. 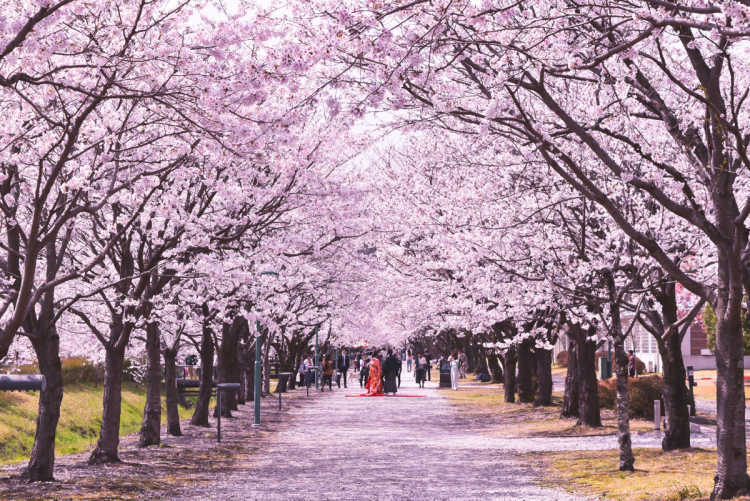 Its highlight is a beautiful pink tunnel as long as 200 meters with cherry blossom trees standing both sides of the road. You can't see such a beautiful single road anywhere else.◎The best season to see is from the end of March to the beginning of April. In 2018. the cherry blossoms here is full-bloom on 3/27. Parking area is available.